What are the developments Avaya made post its restructuring? 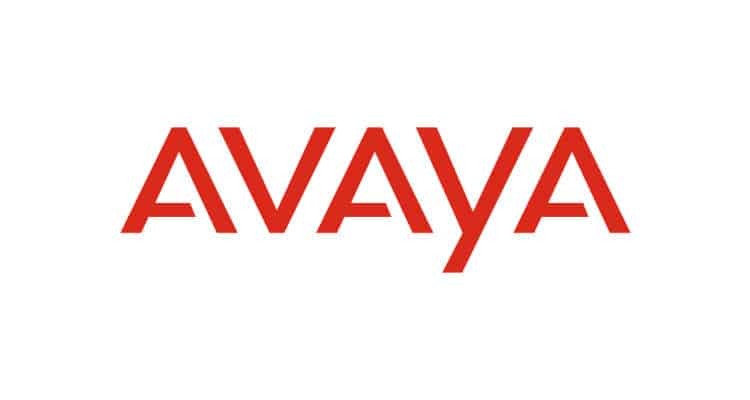 Avaya went through restructuring in December 2017 and then went public on the January 17th, making it a listed company now. The company went through multiple developments during the restructuring period and emerging from Chapter 11, Avaya has an additional $300 million in cash which is now available for strategic investments into the company and on our key focus areas including Collaboration and Customer Experience, which has been Avaya’s greatest strength and we want to continue investing in these areas. Additionally, Avaya is focused on new-age innovations in the areas of Artificial Intelligence, Blockchain and betting big on cloud and integrating them into Avaya solutions – to provide an Omni-channel experience to our customers. What are Avaya’s focus areas in terms of solutions? Avaya is actively working with niche local startups, service providers, integrators and integrating our services. We are also working with a start-up in the area of Artificial Intelligence, voice recognition and text-to-speech analytics and working on Emergency response systems in India. Avaya is also closely working and collaborating with the strong R&D team in India, which is very important to us to deliver enhanced solutions to our customers. So, we are collaborating with our strategic partners and forming new partnerships to bring these solutions quicker to our customers. Working closely and collaborating with the R&D team in India helps us build and deliver innovative solutions which address the specific requirements of the India market. As the industry is moving towards, outcome based solutions, Avaya is also building unique solutions for the India, including areas like Conversational Commerce. Conversational Commerce today is extremely instrumental in providing context and background of the customer which whom the company is transacting and makes the customer capable of closing the transaction by himself. It also lets you shift to a live agent, incorporate the use of data if required and there is no loss of information during this movement. Conversational Commerce is the go-to strategy today to provide the ultimate customer experience in the world of evolving customer needs. Conversational Commerce will soon become a reality and voice will evolve and undertake complex transactions. Customers today want to communicate at their own pace and using platforms such as WhatsApp, Facebook, which reduces the need to physically converse. With the introduction of 4G and 5G technology, the internet bandwidth has improved significantly. How are you working with the Smart Cities in India? Avaya is already engaged with the smart cities project of the government, while businesses are also being generated from BFSI, large BPOs, mobile and internet service providers, citizen-centric services, emergency response system, e-commerce and start-ups. For example, Avaya is working with the Uttar Pradesh, Madhya Pradesh and Rajasthan government to provide an integrated and faster emergency response time to emergency calls. In Uttar Pradesh, the Dial 100 project was designed to provide integrated emergency services across the entire State on a 24×7 basis to facilitate faster response time and ability to support more than 600 calls at any given time. Emergency Response systems will rapidly transform in the years to come. Which other vertical do you see growing in India? India has seen a lot of integration, amalgamations and takeovers happening in the BPO segment and I feel that the BPO segment will become a strong area in India. We are working actively with the BPOs towards the next level of transformation, transforming from being a voice vendor to Omni Channel vendor for them and working with the BPOs to provide innovative technologies that will transform the sector completely. BPO is our main area of business not just in India, but globally. How many partners are there overall? Avaya has at least 200 partners. What specific route you are taking to reach out to new customers? We reach out to new enterprise customers through show and tell for example; our recently concluded flagship event to demonstrate to the customers what Avaya is doing and bringing to the table through our technology and solution showcase as we believe in a deeper engagement. How many enterprise customers are there? Avaya has over 5000 customers, out of which 1000 are enterprise customers. For the next 2-3 quarters, what are the focus areas for Avaya as part of their GTM strategy? Avaya has 3-4 key focus areas as discussed earlier. We work with the BPOs through their transformation journey. We don’t focus on selling but inventing and co-inventing with them. The focus on government and service sector will continue.We do not want to spread everywhere but target specific areas that would be profitable to the company. Acquisition of new customers and reaching out extensively to the mid-market space will continue to be our focus in the years to come. In the BPO segment for mid-markets, we are focused on new acquisitions, expansions and upgrades, as they keep coming. In the enterprise, we would be extending our footprints and target new customers. What would be the target for the next 12 months for Avaya India as a business? In the next year, Avaya will be focused towards connecting all aspects of customers’ life, from dealing with emergency response to calling particular banks to reach out to a customer issue on a website. Our mission is how we connect to human lives on a regular basis in the best and most seamless manner and touch human lives in every domain. As the industry is moving towards consumerism, Avaya will come up with new innovations and the solutions we build will impact lives across verticals. What is your focus towards the Education vertical? Education as an industry is witnessing rapid transformation – moving from classroom training to consumption based training. We are actively engaging and working with different start-ups for communication systems and video conferencing solutions. For example, if you have 50 different students in different places and you want to bring them together in a room – our solutions fit best to address these situations by bringing them to a virtual room and training them through video conferencing. As industry moves towards consumerism, it will be lot more consumer oriented than structured classrooms and with 5G coming into picture, video streaming becomes easier and conversational training will be further developed. Five years from now, Education will move from hardware centric conversation to consumer centric consumption.